This month, instead of just putting the spotlight on a biker, we asked a few questions to a local shop owner who has been taking care of motorcyclists in the Los Angeles area for more than a decade. 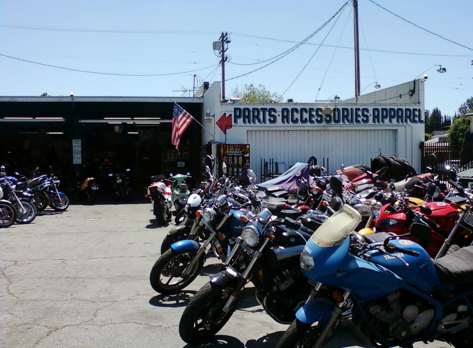 Tommy Bencharit runs Cycle Depot, a locally-owned motorcycle shop in the Eagle Rock neighborhood of Los Angles, California. Located on Colorado Boulevard, the shop is conveniently situated between Glendale and Pasadena, just a short ride from downtown LA. It’s a great shop for parts and service. Thanks Tommy! Keep up the good work. Great indy shops are hard to come by, and vital to riders who want top-notch service without paying astronomical dealership service rates. And thanks to everyone else who has sent in pictures so far. We’ve gotten submissions from a lot of cool people and great-looking bikes that we would like to share on our website in the future. Have a cool bike, great riding story, or a motorcycle shop or biker bar you’re proud of? Share it with our readers! Contact us for details on how to submit your photos and story.